The United States Federal Government just concluded a 36 day partial shutdown, the longest in U.S. history. It has been reported by Associated Press that 8 billion dollars in revenue was lost during the shutdown and nearly half of that will be unrecoverable. President Trump signed a temporary bill that halted the shutdown till February 15, 2019 in order to give the 800,000+ federal workers and opportunity to receive a paycheck. This Friday, February 1, 2019 will be the first pay check workers will receive this year. If Congress and the President do not come to agreements on border security and funding for Homeland Security, on February 15, the country will again face a shutdown. If this happens, it will be the fourth shutdown during the first term of presidency for Donald Trump. Much of the federal government gets its funding from an annual budget appropriations law passed by Congress. When the government shut down, funding for wages for certain federal workers such as TSA agents, the FBI, the Coast Guard, the IRS and ironically the U.S. border patrol was suspended. Some employees whose jobs were deemed necessary, like the FBI, have been working without being paid. Others from agencies the FBI have been “off the clock” otherwise known as being furloughed. In both cases, federal employees affected by the shutdown have not been paid as of this article. The fiscal year began on Oct. 1, 2018 and Congress has passed just five out of 12 appropriations bills setting spending levels. On Dec. 21,2018 to enact legislation to fund the program covered by the remaining seven appropriations bills, but they allowed that funding to lapse. 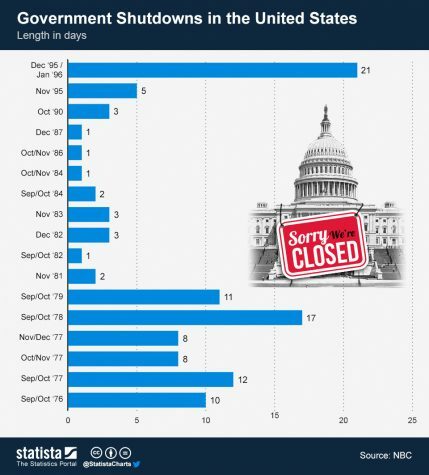 The current shutdown began on December 21,2018. 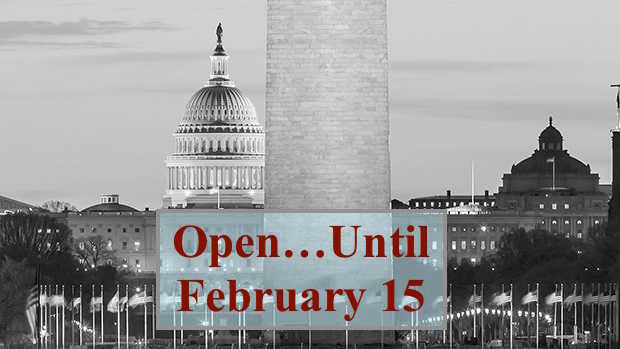 It began the longest shutdown in U.S history on January 12, 2019 when it surpassed the Clinton administration shutdown that lasted 22 days. About 380,000 non- critical employees of nine major agencies were sent home without pay. On January 15, 2019 the Trump administration called 50,000 of them back to work without pay. As the shutdown continues, many are looking for part- time work to pay bills. Congress passed a bill to reimburse federal exempt employees for lost wages once the shutdown ends. I asked one of the government teachers at Hillsboro High School some questions regarding the shutdown.